Multipure® Reduces The Most Contaminants - Guaranteed! Multipure's 880 Models are The Only NSF Certified Water Filter for ArsenicV Reduction! A recent study from the Water Quality Association (WQA) reveals that the top two contaminants which Americans are concerned about in their drinking water are LEAD and ARSENIC. MultiPure was 1st to be NSF certified for both lead and ArsenicV! 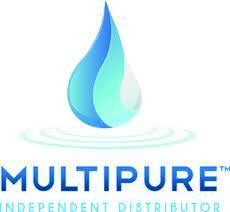 Multipure Is a Green Company! Multipure® is the Top-Rated & Best Performing Water Filtration system in the U.S. Tested & Certified by NSF for reduction of these major contaminants: Arsenic, Lead, VOC's, Cysts , E.Coli, Giardia, Cryptosporidium, Asbestos, MTBE, Mercury, PCB's, Chloramines and many, many more. All Multipure® Drinking Water Filtration Systems Are NSF Certified Under Standards 42, 53 & 401 And Come with a 0.5 Micron (sub micron) Rated Filter Media For Reducing The Widest Range of Contaminants. 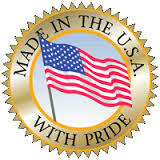 Costs less than 8 cents per gallon, Compatible for Home, Office, Boats & RV's, & Filters only need changing once per year. Only about 10% of the 10 billion bottles of water sold each year are recycled; the rest end up in our landfills. Bottled water now outsells milk and juice in the USA and tons of greenhouse gases are generated each day to deliver those millions of bottles of water to retailers, businesses and homes across North America. These facts, along with numerous other concerns, have resulted in an increased attack against bottled water. MULTIPURE water filters reduce chlorine and heavy metals, allowing you to simply fill up and enjoy filtered water anywhere you go. MULTIPURE Drinking Water Systems provide Healthier, cleaner water and is conveniently available right at your kitchen sink. Save money and the environment. There are hundreds of companies that sell drinking water systems for the treatment of various contaminants. 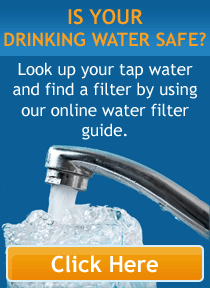 Although most companies make devices that can remove chlorine from water, only thirty-eight (38) of those companies offer drinking water treatment systems that are certified by NSF to reduce Trihalomethanes (a disinfection by-product known to cause cancer in humans and miscarriages) under NSF's Standard No. 53, Health Effects (March, 2009 Listings). And, only five companies have devices certified by NSF to reduce PCBs. MultiPure Drinking Water Systems offers products certified to reduce MTBE, a gasoline additive classified as a possible human carcinogen, which has been found in drinking water, and Multi-Pure was the first and is still the only water filter NSF Certified for ArsenicV reduction. Find out how to get your Multipure drinking water system for FREE! Phone Ed at 1-800-874-7873 Today! Multipure's 2011 Distributor of the Year! Since 1983 Ed Amerault has been A Customer Service excellence leader in Multi-Pure. Phone Ed Amerault Toll Free - Available 7 days per week!